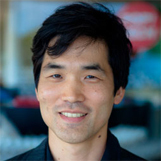 Dr. Seung is Professor of Computational Neuroscience in the Department of Brain and Cognitive Sciences and the Department of Physics at the Massachusetts Institute of Technology. He studied theoretical physics with David Nelson at Harvard University and completed postdoctoral training with Haim Sompolinsky at the Hebrew University of Jerusalem. Before joining the MIT faculty, he was a member of the Theoretical Physics Department at Bell Laboratories. He has been a Packard Fellow, Sloan Fellow, McKnight Scholar, and PopTech Science Fellow. Dr. Seung directs the scientific programs of WiredDifferently, an organization that supports “citizen neuroscience.” Its first project is EyeWire, which mobilizes volunteers to map the retinal connectome. The ultimate goal of WiredDifferently is to test the hypothesis that the uniqueness of a person, from memories to mental disorders, lies in his or her connectome. Some more technical (but relatively accessible) writings include “Towards Functional Connectomics” (how to relate the functions of neurons to their connections), “Reading the Book of Memory: Sparse Sampling versus Dense Mapping of Connectomes” (the plan to read memories from connectomes), and “Machines that Learn to Segment Images: a Crucial Technology for Connectomics” (automating the analysis of electron microscopic images of the brain).